Our final part in our Life Insurance 101 series covers the types of life insurance that are available. 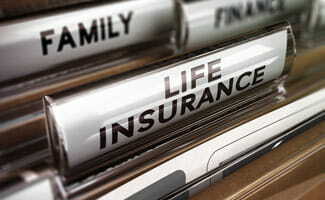 It is important to note that life insurance falls into two basic categories: temporary and permanent. But which is best for you? Temporary insurance is called “term” insurance. It provides insurance coverage for a fixed period of time, at a fixed price, and a fixed death benefit. The premium payments are much lower than permanent insurance coverage, but the policy does not build up any cash value. Term policies can be purchased for one year, or for longer periods such as five, ten, twenty or even thirty years. Many term policies have options to extend their terms, but for a higher price. Term policies are very common for younger people looking for insurance, since the premiums are fairly low and the benefits can be very good. While not an investment vehicle, term life insurance is a good safety net for those looking to replace income in the event of an untimely death. Permanent insurance provides lifetime coverage. The insurance company cannot cancel the policy for any reason other than fraudulent application or the failure of the owner to pay the premiums. Premium payments are generally higher for permanent insurance, but there is a “cash value” to the policy that grows as the owner continues to make premium payments. Owners can borrow against the cash value, cancel the policy and take the cash value, or use it to pay premiums in years where the owner finds it difficult to pay the premium on his or her own. There are many types of permanent insurance, but the most common types are whole life and universal life. Whole life policies are the oldest kind of permanent insurance. Premium payments are usually fixed over the lifetime of the owner, and so long as the premium payments are made regularly, the death benefit typically remains fixed. Think of it as life insurance with a savings account. The benefit of whole life policies over term policies is obvious, since you actually retain your premium payments through the cash value of the policy (minus fees and costs deducted by the insurance company). The insurance company typically guarantees a “fixed rate of return” on your cash investment, meaning that the cash value will earn interest at a certain percentage every year. The fixed rate can be a good thing when interest rates are high, but in our current market a 1% fixed rate of return may not be particularly attractive. Interest accrued on the cash value of the policy stays in the policy and is not taxed to the owner so it is tax-deferred. This video from Khan Academy explains the difference between whole life and term life insurance in an easy to understand way with examples. Universal life policies are the new kid on the block, intended to combine some of the benefits of whole life policies with more flexibility. Like whole life policies, universal policies provide lifetime coverage and build cash value over time. Unlike whole life, universal policies allow you to shift funds between the insurance portion of your policy and the cash value component of your policy, which can affect your premium payments and your death benefits. Some universal policies, known as “variable” universal policies, allow the owner to maintain control over the investment of his or her cash value (meaning the owner can choose whether to invest in stocks, bonds, mutual funds, etc. ), which of course affects the rate of return on the cash value. The rate of return can also affect premium payments and the ultimate death benefit paid to the beneficiaries. There are many sub-classes of term, whole and universal life, and many components (such as long-term care insurance) that can be added on to a new policy. Read our recent overview of one of the newer types of universal life: equity indexed life insurance.